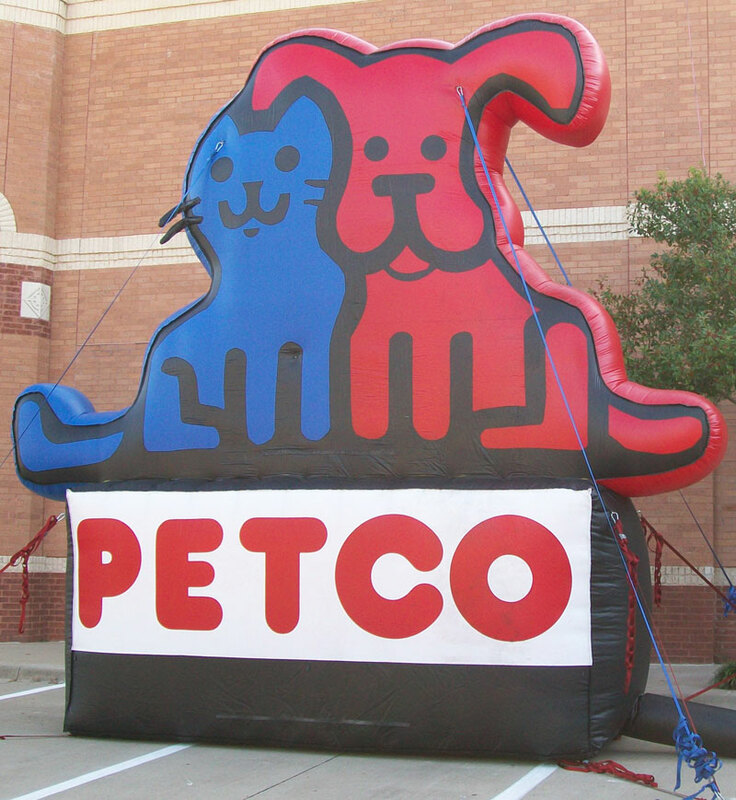 Inflatables for San Antonio Area Events, New Products, Grand Openings and More! 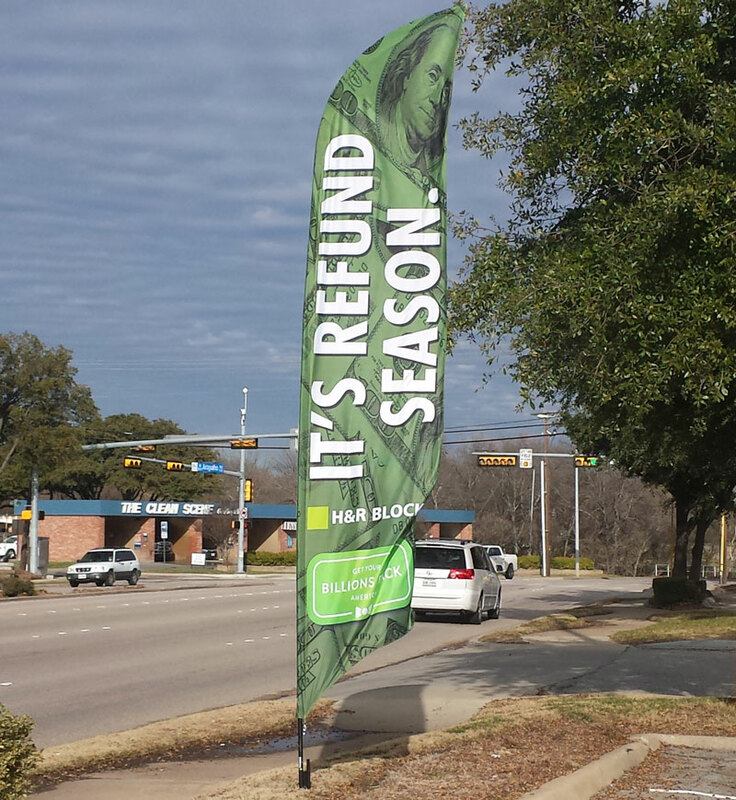 Whether they are promoting your brand or directing visitors into your parking lot, advertising flags are THE visibility solution for you. Installation takes a matter of minutes and promotion starts immediately! Get noticed and get more customers! Don’t blend in with all the other businesses in your area, stand out with a larger than life inflatable balloon! When you need something really amazing, you need a custom-made advertising balloon! Larger than life characters, oversized food items or gigantic product replicas, we can create nearly any design you imagine. Give us a call to bring your ideas to life! Because we are a one stop advertising and marketing destination, we don’t just deliver your inflatable and say goodbye. We help you with installation, set-up, repairs and even take-downs. Our team makes sure you get exactly the service you need in the fastest time possible. Attracting attention means you are competing with billboards, signage and even cell phones and car passengers. That’s alot of competition! We help you rise above the daily distractions. Customers can’t buy your products if they don’t know you’re there! Make some waves and attract their attention with a giant inflatable replica of your product. 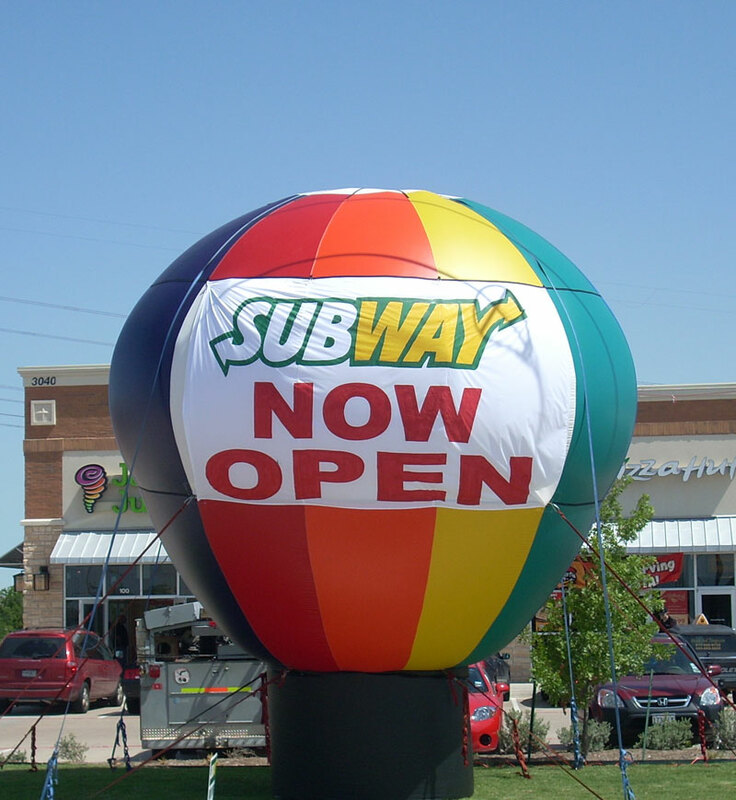 Inflatable advertising is the budget friendly way to advertise! No other medium offers the amount of measurable ROI as a campaign with a giant advertising balloon or advertising flags. It’s the campaign that you don’t have to analyze – the results speak for themselves.